One of the most dreaded blacklists customers face is Spamhaus. Even the most sophisticated, smart senders can find themselves on Spamhaus’ blacklist. To avoid this in your email program, it is important to understand what action to take when you come across Spamhaus and how to prevent a listing in the future. Spamhaus is an international blacklist organization founded in Europe in 1998. Currently, they employ 38 employees across 10 countries. The primary focus of Spamhaus is to track spammers and spam-like activity. Spamhaus is made up of several blacklists that mailbox providers utilize to protect themselves against spam-like activity. Spamhaus presently protects over 1.9 billion email users’ mailboxes. Spamhaus distributes six DNS-based (DNSBL’s) blacklists and one domain-based blacklist. The key blacklists Spamhaus manages include ZEN, BCL, XBL, SBL, PBL, and DBL. Probably the most common Spamhaus listing is the ZEN blacklist. The ZEN blacklist is a combination of IP-based DNS blacklists (DNSBLs), which includes SBL, SBLCCS, XBL, and PBL. It is also a public-based blacklist and will have a high impact on deliverability if listed. ZEN will identify and reject roughly 85% of a typical mail relay’s incoming mail traffic. For more information on ZEN visit: https://www.spamhaus.org/zen/. Simply check https://www.spamhaus.org/lookup/ to see if you are listed on any of the blacklists Spamhaus manages. You will need to either enter your IP address or domain name for the two checks Spamhaus offers. I am listed on a Spamhaus Blacklist, what do I do? 1. Take immediate action. If you are blacklisted on Spamhaus, you are probably in total freak out mode. This is warranted—Spamhaus will affect your deliverability and getting delisted should be your number one priority. First, stop sending mail the second you know you are listed on Spamhaus. You can check this using the Spamhaus link: https://www.spamhaus.org/lookup/ to see what IP addresses and domains are affected. Next, review your most recent campaigns and check to see if anything was done differently. Did you send to a new portion of your sending list? Did you send a new creative? 2. Communicate. It is important all parties involved in your email program are aware of your Spamhaus listing. Make sure your Technical Account Manager and email service provider are aware of your situation. Your Technical Account Manager has experience with Spamhaus and can either help you delist or point you in the right direction to delist. Please note that delisting does require you to fix the issue that caused the blacklist. 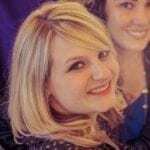 That is why it’s important to understand what you might have done differently in your email program leading up to the blacklist. Review your infrastructure—Ensure bounces are processed properly and feedback loops are maintained. It’s important to make sure complainers identified on the feedback loop are being promptly removed. Review your list acquisition—Identify and stop any and all high-risk acquisition processes (i.e. list rental and list purchasing). Make sure you are sending mail only to those who have opted-in to receive it, and consider implementing a confirmed opt-in permission level for added security. For more information on list quality and acquisition please visit: https://blog.returnpath.com/lets-get-serious-list-quality-and-complaints/. Remove inactive subscribers—If you don’t already have an inactive suppression policy, implement one ASAP. It is important not to continually send mail to those who do not interact with it. You might also want to try a re-engagement campaign and try to win back unengaged subscribers. If they do not engage after you deploy a re-engagement campaign/s, delete them permanently from your sending list. For more information on re-engagement campaigns check out: https://blog.returnpath.com/reactivating-old-email-addresses/. Proactively monitor—The best way to fix a Spamhaus problem is to make sure it never happens. Keep an eye on complaint rates, unknown user rates, and spam trap hits. If you start seeing spikes or unusual numbers, involve your Technical Account Manager to remedy the problem before it gets you listed on Spamhaus. Once you check all prior listings it’s time to delist from Spamhaus. 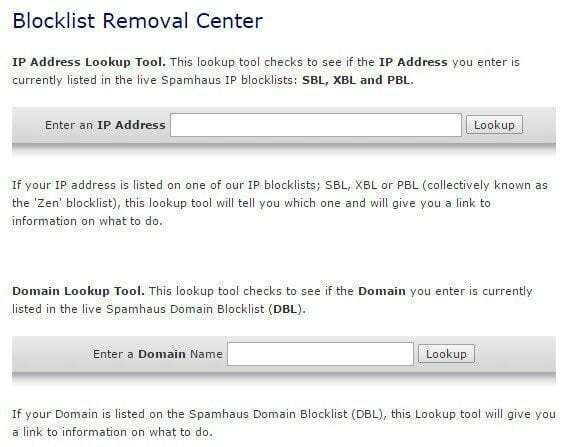 To delist from Spamhaus, go to the lookup portion of Spamhaus: https://www.spamhaus.org/lookup/ then follow the instructions to delist. When you fill out the delist form, be concise and mention you fixed the problems that landed you on the blacklist. It’s important to note Spamhaus has the authority to decide whether or not to remove you from their blacklist. Simply delisting will not always remove you from their blacklist. Congratulations, you have been removed from Spamhaus! Whew, those are good words to hear; however, the hard work is not over. The last thing you want to see is another listing on Spamhaus. This is where proactive account monitoring comes in. Make sure you run a healthy email program with good list hygiene practices and avoid any spam-like activity. There are many alerts and reports you can set up in Return Path’s Email Intelligence Suite to help you be proactive and avoid future Spamhaus listings.